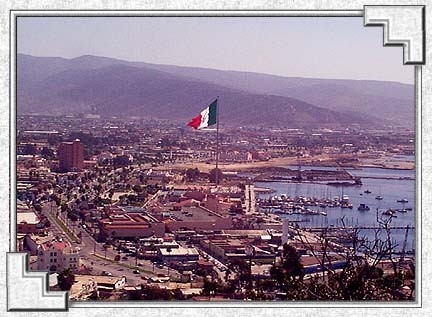 Ensenada, the third largest city in Baja California, boasts a protected harbor and modern port facilities, making it Baja California's leading seaport. In 1602, Sebastián Vizcaíno sailed into the bay and was so taken by its beauty that he named it Ensenada de Todos los Santos (inlet of all the saints). The scenic setting, beautiful beaches, numerous boutiques and restaurants, vast accommodations and excellent fishing make Ensenada one of the leading resort and commercial centers on the Baja peninsula. Sign the Ensenada Guestbook and give us your comments!